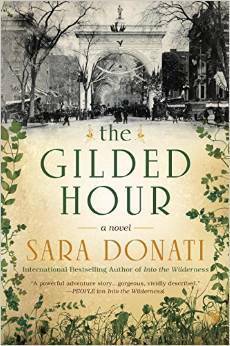 I have questions about The Gilded Hour. I just finished reading it and, of course, I’m confused by the ending. Why was the murder plot story not finished? Also, I was confused as the story is supposed to take place in 1883 but, there is mention of cabs, hotels, and traffic. Really? In 1883? The Waldorf-Astoria Hotel didn’t even open in NYC until 1893. I felt like the setting kept jumping back and forth in-time and I had a hard time believing it was really 1883 since there was constant mention of “taking a cab”, “staying at the hotel” and “dealing with traffic.” I’m curious as to why these were part of the setting if it was supposed to be 1883. Any answers? Also, I’ve never written to an author before, but, The Gilded Hour was very confusing for me since it jumped around in-time. I’m looking forward to your explanations since you are the author. Rather than talk about the fact that the murders will be resolved in the sequel (as I did here if my regular readers want to be reminded), let me address historical accuracy. Pictures may speak louder than words, but heck, I’ll supply both of them. 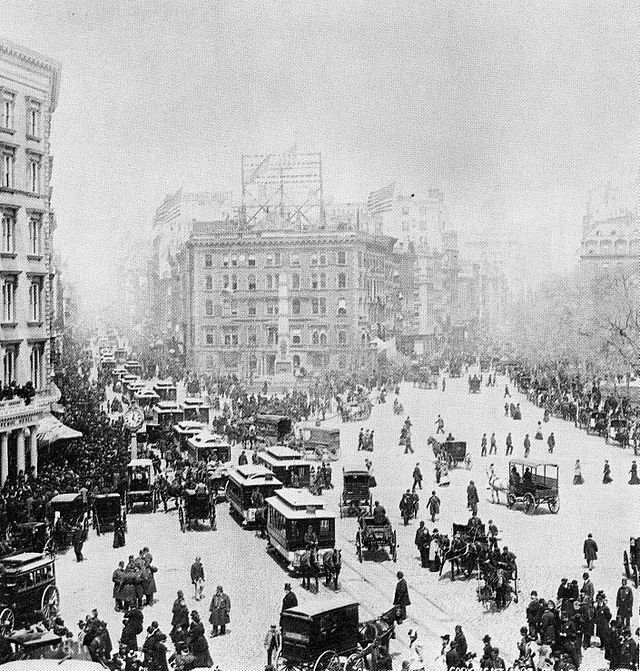 Manhattan was a very crowded place in the 19th century. The actress Jenny Lind arrived to perform at Castle Garden (then a performance space) on September 11, 1850. 30,000 people met her at the dock and another 20,000 lined the streets to her hotel. You can read about this in more detail at the New York Times. But then you could just go to one of the many city guides such as The City of New York: A Complete Guide, published in 1876, and read the ads for the city’s many hotels. You can read this online; the list of hotels starts on page 65. The Gilsey House hotel, mentioned in The Gilded Hour opened for business in 1871, and is still standing, and is still a hotel. Daytonian in Manhattan — a blog dedicated to New York city history — has a great post about the Windsor Hotel, which was standing and in business in 1883. In general I’d recommend Daytonian in Manhattan when you’re wondering about history. 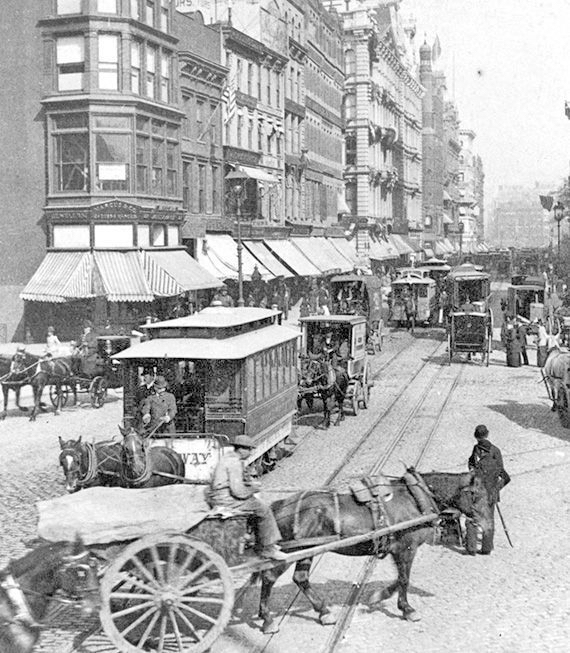 In 1883 traffic was a major problem. 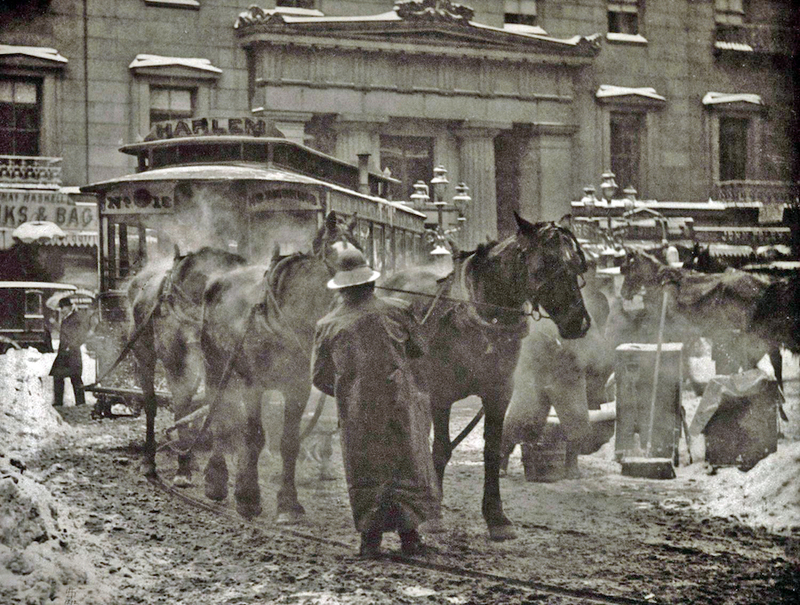 It was worse, in many ways, because thousands of horses pulling wagons of all kinds meant manure, and no easy way to get rid of it. The photo to the right I like especially because I think it makes it clear what it was like to be on the street in the winter. It’s a Steiglitz photo. There were train tracks everywhere, and accidents were common. 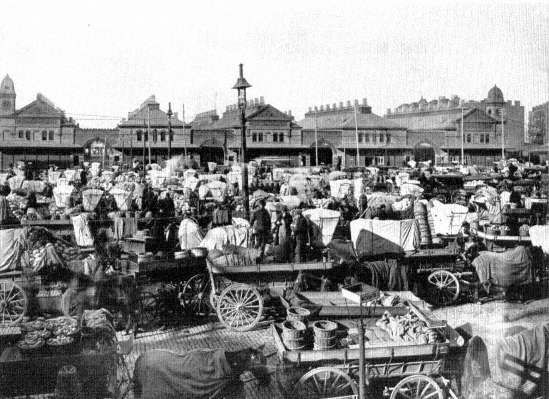 You can read about one in heavy traffic in 1874 here. There were elevated trains, more accidents. And there were cabs. Such as this line of handsome cabs waiting for customers on the north side of Madison Square. That arm you see in the background is from the Statue of Liberty. While they were fundraising to build the pedestal in the bay, they put the arm in Madison Square Park and charged people to climb to the top. All of the images at the end of this post date from between 1880 and 1890. 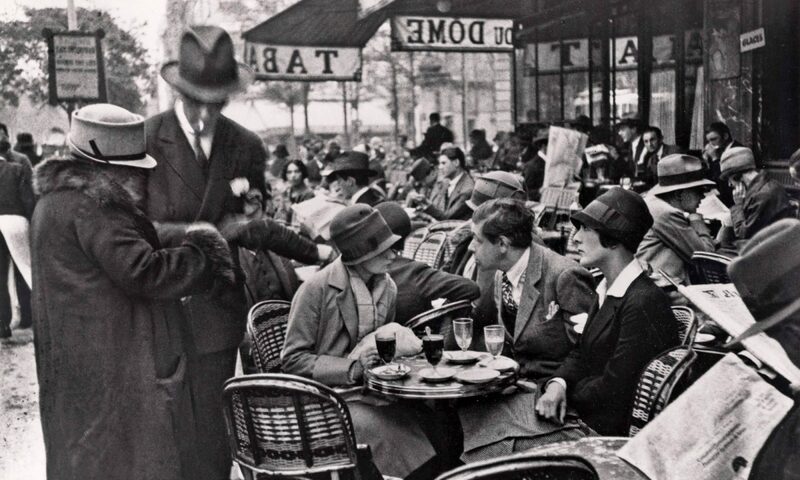 You’ll note the large number of small horse drawn carriages — cabs. Lots of them. Ms. Middleton, I hope I have resolved your confusion. There’s more information about the historical aspects of The Gilded Hour on the novel’s webpage, in case more questions occur to you. Pictures definitely do speak louder than words. And thanks for those most interesting photos. You are welcome. Hope you’re well, petzi. I am both puzzled and amused that she thinks there couldn’t have been traffic in 1883. I’m confused by Ms. Middletons confusion. She questions your research but I question hers. 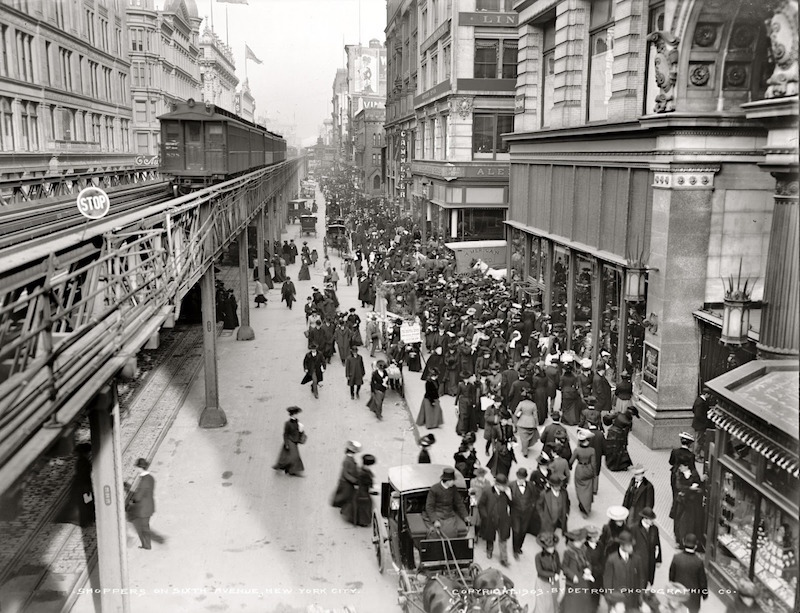 Anyone who has done any reading about the time period (late 1800’s) in New York knows that it was a bustling metropolis with terribly overcroweded living conditions (in some areas) and streets. I think Ms. Middleton was thinking of the phrases she references in 21st century terms rather than applying them to the 1800’s. I hope Ms Middleton will be reading more history, and then I hope she takes up fact checking in earnest. Next PostNext In which I confess to a terrible weakness.